I love fall. I like the cooler weather, the jeans and sweatshirts, football, bright colors...yes, I'm a fan of fall. But, perhaps my favorite part of October are the season premieres of some of my favorite shows. 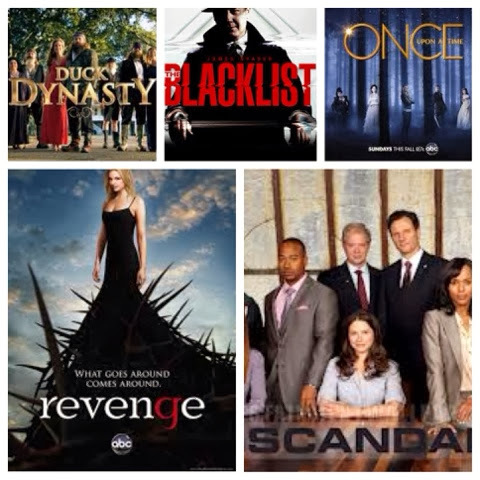 Bring on Scandal, Once Upon a time, Revenge, and Dancing with the Stars. And Duck Dynasty of course. Oh and I watched the premiere of The Blacklist and WOW...I will definitely be watching again this week. Are your favorites back on? What else should I be watching?